In the year of a major Muybridge retrospective opening at Tate Britain, join us for this innovative symposium: the culmination of a unique Arts and Humanities Research Council project between Kingston University and Kingston Museum which concerns Muybridge’s work. The Muybridge project has produced an online research resource which draws together information on all collections of Muybridge’s work worldwide as well as providing an academic and historical context for them. Our symposium will critically reflect on some of the crucial cultural and aesthetic questions to have arisen from this contemporary heritage project. Three talks will explore representation and the body within photography, the ideological meaning of space and place within cultural communication, and the contemporary trend towards digitization in heritage projects. A guided discussion with questions from the audience will follow, with a reception to finish. Talks will be given respectively by Dr Harriet Riches: Senior Lecturer in Art History & Visual Culture at Kingston University. Professor Tim Cresswell, Director of Graduate Studies, Department of Geography Royal Holloway, University of London and Louise Shannon, Curator, Deputy Head of Contemporary Programmes Victoria and Albert Museum and co-curator of ‘Decode’. Aviv Coffee is your source for premium roasted Guatemalan Coffee in the Washington DC Metro Area. We pride ourselves with offering single origin, freshly roasted Guatemalan coffee. Currently we are offering Highland (Huehuetenango) Coffee that follows the guidelines of the SLOW FOOD movement. We carefully cup every coffee and rate it for quality and flavor; providing you a to rich and satisfying coffee. “Coffee was introduced to Guatemala in the late 1700’s, in houses as ornamental plants. By the early 1800’s the coffee plants were taken outside the cities into different areas of the country. Originally coffee was planted out of amusement rather than for economic speculation. During that time coffee was seen more of a medicinal drink than a refreshment. It would take another 60 years to reach a commercial scale, once all other exports lost their economic value. To foment coffee cultivation in the 1830’s the government passed a laws and incentives that helped coffee growers. In 1867 at the International Expo in Paris, Julio Rossignon and Juan Rodriguez presented coffee cultivated and processed in Guatemala and obtained awards for its taste. The liberal government which came to power in 1871 thorough a revolutionary fight, fomented the cultivation of coffee more than previous governments. The book mentioned can be previewed on Google Books. After it emerged as a market commodity in the 18th century, coffee was easily adapted to cultivation in the highlands of Central America. Guatemala in particular has relied on coffee cultivation as a part of its economic identity: it has been a premier export crop for over 300 years. The importance of coffee to the country lies in the large labor investment in each stage of production. 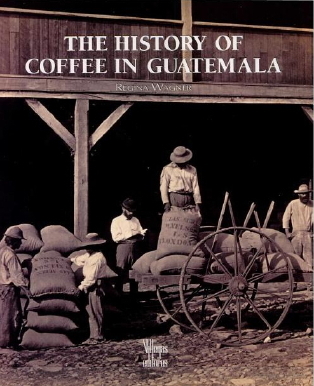 This large-format illustrated book covers agricultural, social, and cultural aspects of coffee culture in Guatemala in old photographs, charts, tables and maps. Wagner’s work shows how Guatemala has met the economic complexity to which this product is subject, and why coffee remains the solid foundation crop of the country today. Regina Wagner was born in Guatemala, has a Ph.D. in history from Tulane University, New Orleans. She teaches at the Francisco Marroquín University and is current president of the Academy for Geography and History of Guatemala. The book preview includes several good quality sepia reproductions of Muybridge photographs. Weeding and protecting young coffee plants from sun. For more on Muybridge in Central America, check The Sidney D. Markman Collection of Eadweard Muybridge Prints which lists many of his photographs taken in Guatemala and Panama. 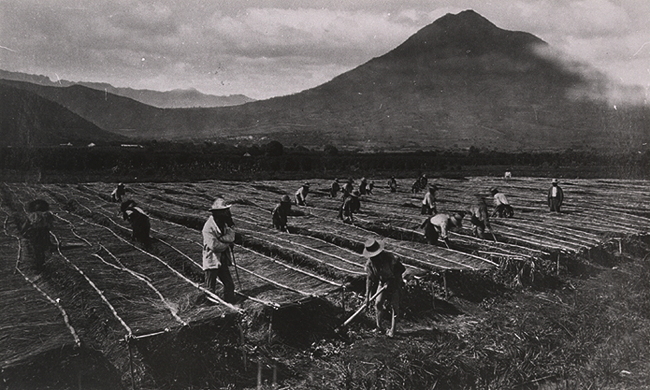 Professor Ralph Lee Woodward of the History Department at Tulane remarked that the Muybridge photographs “give us an exceptionally valuable window on Guatemala in 1875. They are quite remarkable in what they tell us about Central America in that period.” (quoted from the dustjacket of Eadweard Muybridge in Guatemala, 1875 ). 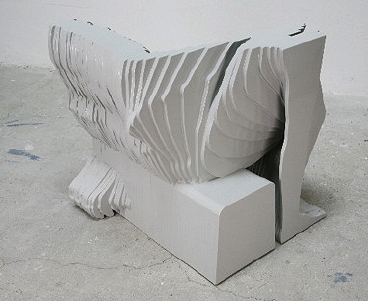 Muybridge is a chair named after the pioneer of photography Eadweard Muybridge. DE51GN is an international ezine that brings you the must-know in contemporary design, art, architecture and cutting-edge fashion with a special focus on the Middle East and Asia. As your dedicated blogger struggles to keep up with the whirlwind of events and announcements relating to our subject, comes news from Reaktion Books: a new illustrated biography of Muybridge will be published later this year. This is a new publication in the Critical Lives series: So Eadweard Muybridge takes his place alongside such cultural greats as Ludwig Wittgenstein, Marcel Duchamp, Pablo Picasso, Salvador Dalí, Samuel Beckett, and Sergei Eisenstein. Distributed by the University of Chicago Press. The life of Eadweard Muybridge (1830-1904) is the stuff of legend. An inventive and sensitive photographer, and a technical wizard who was the first ever to freeze motion with a camera, he was also a man of passion who murdered his wife’s lover (although he was acquitted of the crime). 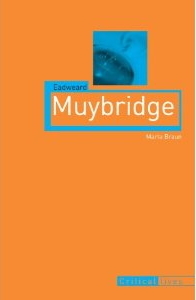 Born Edward James Muggeridge, Muybridge reinvented himself several times, changing his surname first to Muygridge then to Muybridge, and late in life upgrading the mundane ‘Edward’ to the saxon, kingly ‘Eadweard’. 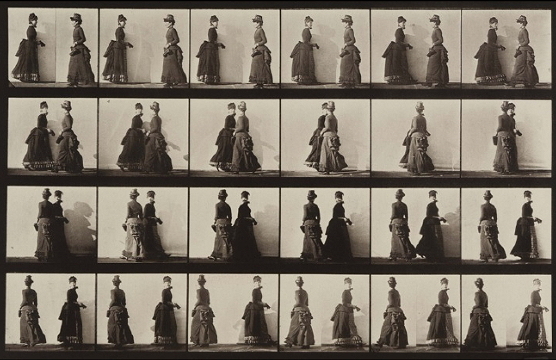 In Eadweard Muybridge, Marta Braun frames the photographer’s life within the dramatic transformations brought about by the rapidly developing technologies of the late nineteenth century. Born in Kingston upon Thames, Muybridge travelled to the United States at 22 to seek his fortune, first in New York and then in San Francisco where he set himself up as a publisher’s agent and bookseller. As the photographic artist ‘Helios’, Muybridge became famous in the 1870s for his artistic depictions of the rugged beauty of the us West Coast and its inhabitants, from Modoc warriors to the robber barons who pushed through the transcontinental railway. As Edward Muybridge he documented the indigenous tribes and coffee plantations of Guatemala, the expansion of the American frontier and the gold-rush driven remaking of San Francisco. In 1887, working with scientists at the University of Pennsylvania, he invented a method of stop-action photography that heralded the first motion pictures. As lecturer, flamboyant showman and entertainer, he toured Europe and America with his ‘zoopraxiscope’, a machine that re-animated his motion sequences. At the end of his life, lonely and disappointed, his fame dwindling and his career faltering, Muybridge retired to his English birthplace, where he died in 1904. Since then his life and work have continued to fire the imagination of artists as varied as Francis Bacon, Cy Twombly and u2. Eadweard Muybridge presents an insightful and lucid account of the life, work and legacy of this highly influential figure, as well as newly discovered information about the photographer’s masterpiece, Animal Locomotion. Marta Braun is professor at the School of Image Arts at Ryerson University in Toronto. She is the author of Picturing Time: The Work of Etienne-Jules Marey and Beauty of Another Order: Photography in Science. Animal Locomotion, Author’s Edition, with 21 plates, 1872-1885, printed 1887, sells for $57,600. NEW YORK, NY.- Auction records for 19th and 20th century photographs were achieved on March 23 at Swann Galleries’ two-part auction of The Stephen L. White Photograph Collection; and Fine Photographs. The White Collection, which was exhibited at Amsterdam’s Van Gogh Museum in 2001, consisted of just over 100 remarkable works depicting aspects of the American Dream. Record-setters from the collection included a half-plate daguerreotype of American statesman Henry Clay attributed to Montgomery P. Simons, circa 1848, which sold for $24,000; a signed and inscribed copy of Eadweard Muybridge’s seminal stop-motion work, Animal Locomotion, Author’s Edition, with 21 plates, 1872-1885, printed 1887, $57,600; James Wallace Black’s portrait of Kit Carson, the last known image of the frontiersman before his death, albumen print, 1868, $48,000; and one of Lewis W. Hine’s poignant images of a child laborer, Spinner, Cotton Mill, Augusta, Georgia, silver contact print, 1909, $26,400. 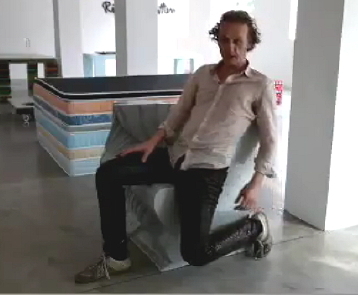 New animations, videos, motion experiments, kinetic artworks continue to pop up on VIMEO all the time. Here’s a small selection – lots more may be found by searching the site.